Sherlock Holmes is the most famous literary character of the world. Countless films, plays and books dealt with or were inspired by him. Thanks to his figure forensic science went through an enormous development and modern criminal investigation was born. Many artists were influenced by him around the world, and this way he colligates the world of arts. Holmes is a honoured symbol both in Britain and in the USA. (Recommended article: Sherlock Holmes in the USA - We proudly note that his adventures have more Hungarian references.) 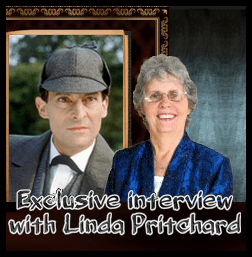 But the biggest charm of the legendary sleuth is that though he never existed, he is a source of entertainment and leisure for millions of people since 1887, and by means of clubs and societies bearing his name he helped to establish friendships. For most people Sherlock is a genius, and they often forget that in the Victorian era he was not just a phenomenon, but THE genius, who transcended his time by far. Modern movie or film adaptations that rive him off his environment and place him in another era, make a simple genius from the genius of geniuses. Sherlock became far more famous than his creator, the talented Sir Arthur Conan Doyle. This way the writer’s ability is appreciated less than the figure of the greatest detective – though there would be no Holmes without Doyle. To better understand the amplitude of Conan we begin with a modern example: Harry Potter. The author of the Harry Potter stories, Joanne Kathleen Rowling caused breakthrough in the field of children’s books in a similar manner like Doyle in detective stories. Rowling was bored and wanted a useful pastime in which she can create something. She imagined a character that rapidly made her world famous and very rich. Lots of people loved the books but there were large numbers of those who envied her success. The latter felt she earned a lot by doing almost nothing, because the stories were easy to understand. These people forget that writing a book neeeds lots of time, persistence, searching and talent as well. This British lady has all these singular qualities. A useful literary work has to be plain – this way many readers can understand and receive it. But the guise of simplicity does not mean that there is no serious, hard work behind the writing. Rowling mixed ancient mythology with modern elements and with her own ideas. The same way went back Doyle to the works of Edgar Allan Poe, and flavoured them with modern science and with his rich fantasy. What is more, the story of Harry Potter appeared in a world where parents did not have the time to tell tales to their children. Youngsters had a thirst for magical stories and Joanne gave them a new, exciting wonderland. Harry fights with his companions and solves problems with their help – this gives hope for his fans. We proudly note that Sherlock Holmes was the first modern hero, whom we can consider the number one wearing a cape because of his long coat. At the same time it makes the detective of Conan Doyle the most wonderful out of the many superheroes of the world that he did not have magical powers – he solved the problems with his brain and his intellect. So he is neither a mystical superhuman being nor a student with a magic wand. He is a man, he is one of us – someone who made amazing things by using his abilities. Conan Doyle’s Sherlock also appeared in a chaotic world full of fear. His character gave hope to children and adults, because he symbolized that it is worth to hold on, face the problems and find solutions to them. Just like Rowling, Doyle fused many inspirations. He was an informal, humane being, he was interested in the characteristics of his fellow-beings. For the adventures of Holmes he mixed together his own ideas and features of severeal interesting people, thus creating a new, very realistic and complex figure, and he used these sources to shape the other characters. Jelous people tend to forget that a writer has to make many characters, not just one. The main character has to have quality, so he has to be realistic, while his environment is exciting. 7. Dr. Patrick Heron Watson – he was an acclaimed doctor and friend of dr. Bell. Doyle modelled dr. John Watson mainly after himself, but he respected dr. Patrick Watson and immortalized his person in the figure of Sherlock’s faithful companion. But knowing some interesting persons and thinking they would suit into a story is not enough. You have to have talent to emphasize the right characteristics and create an interesting tale with a moral message. Being a writer is an occupation – success does not come without hard work. You have to be creative and sedulous. Sir Arthur Conan Doyle dealt a lot with crime solving as well. He was one of the most versatile writers – and he deserves respect for that.
" 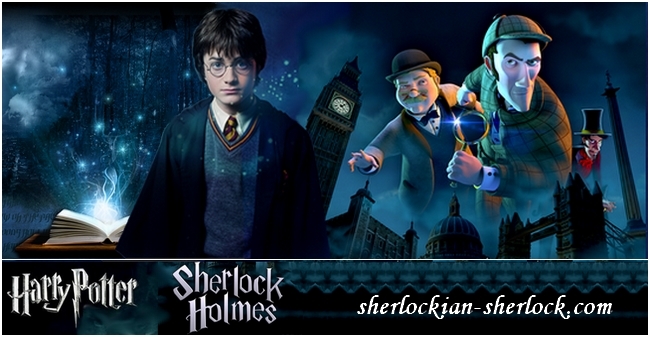 Harry Potter and Sherlock Holmes "